Another new rumor is linked to Khloe Kardashian. And actually, this is not the first time when such claims have been made. The rumor indicated that the famous Keeping Up with the Kardashians star is going to welcome a child in the near future. 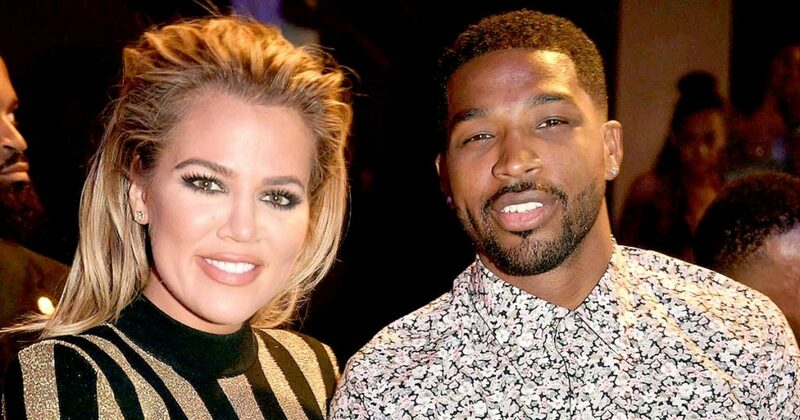 So, TMZ reported that Khloe is pregnant with her first child and of course the father of the baby is her boyfriend Tristan Thompson. Some sources talking to the celebrity site said that Khloe is already three months pregnant. The sources claimed that Khloe got pregnant naturally, so she did not need treatments to become a mom. Furthermore, the source said that the star does not know the gender of the baby for the moment. Khloe and Tristan have been a couple for about one year now and the star’s intentions to become a mom are not a secret. Khloe previously revealed that she wanted to start a family with her boyfriend. A source talking to People magazine also claimed that Khloe is pregnant, but she might not be yet ready to share the happy news with the whole world. Furthermore, Khloe has gained a lot of attention when she was spotted with a different body shape last month. In fact, some body shamers made some bad comments about her figure, which Khloe of course did not appreciate. “So rude of people to say I’m getting fat because I wore baggy clothes to get laser hair removal,” Khloe shared on Twitter. “It’s called being comfortable people.” However, sources said that Khloe was just trying to hide her pregnancy. Without a doubt, the Kardashian-Jenner clan has been linked to a lot of baby rumors lately. The first rumors associated to the family talked about Kim and Kanye welcoming a third baby. The rumors claimed that the two stars turned to the help of a surrogate, who was already pregnant with their child. Then, the rumors claimed that Kylie Jenner is also set to become a mom. The rumors actually claimed that Kylie was going to welcome her first baby in February. None of the claims have been confirmed.